Giuseppe Luigi Gestro was born in Italy in 1845 and arrived in New Zealand in the 1860’s. In New Zealand his name was anglicised and he became Joseph Louis Gestro. It is possible that he was based, with other Italian immigrants, as a fisherman in Island Bay, Wellington. Joseph was often called Joe or Luigi. deduct those bundles they say they have not been able to sell. slaves. . . . . . Thanks to the profits made from us, they are able to build steamers. The Paremata beach stank for days. The fishermen had families to feed and among Joe’s large family were Joseph Louis (Joe), born in 1875, and a younger brother Leonard Lewis (Lulu) Gestro born in 1880. The brothers and others siblings are listed in the Pauatahanui School Roll with Joe Gestra (Gestro) and a sister Elizabeth in 1882. [ii] Lulu Gestro is listed as starting at the school in 1886. Both brothers enlisted in New Zealand Contingents that were sent to support the British in the 2nd Anglo – Boer War. Mounted Rifles and as a member of a part-time Volunteer unit, qualified for selection. The selection criteria was based on the men’s physical condition, their ability to ride and shoot and they must be a member of the permanent New Zealand forces or be part of the part-time Volunteers. Joe is listed as being employed as a baker, a trade that would be useful to the contingent. Joe sailed from Wellington on 21st October 1899 as SA137 Private Joseph Louis Gestro, 1st Company, 1st “First” Contingent. Also sailing with the “First’ was SA9 Lance Corporal Charles Bould who, as a teen, would have known Joe in Paremata. Also sailing with the 'firsts' were three troopers from Tawa, SA79 Charles Newman, SA82 Denis Joseph Ryan and John Nathanniel Cumings. to soldiers' life. I am sorry to say that we are not all together. those who have been in mounted companies for five years. Our friend Jack Cummings has gone as a farrier." 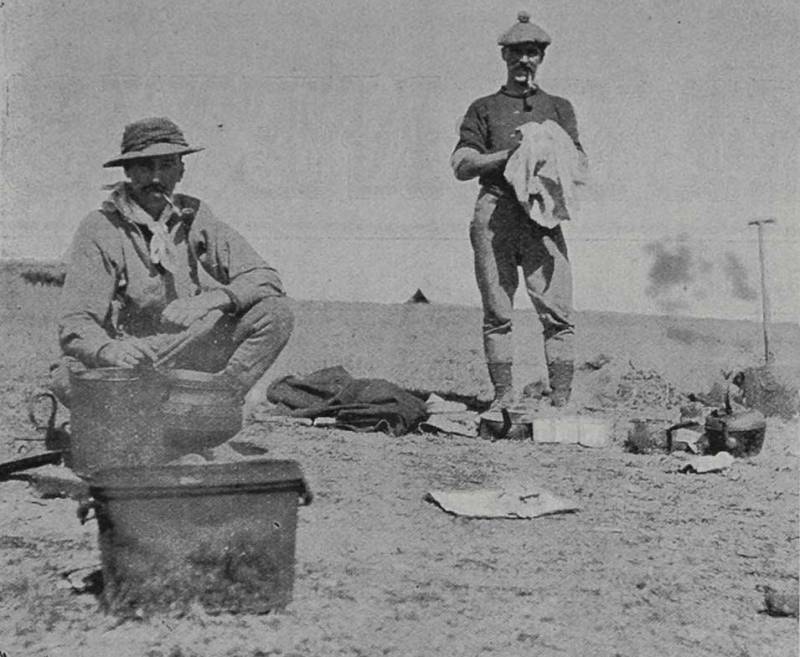 Private Gestro remained with the 2nd Company as the British forces conducted offensive operations against the Boer Forces. The awarding of clasps to his Queen’s South Africa medal show how Private Gestro progressed with the ‘Relief of Kimberley’ in February 1900, the ‘Paardeberg’ February 1900 and the ‘Driefontein’ in March 1900. 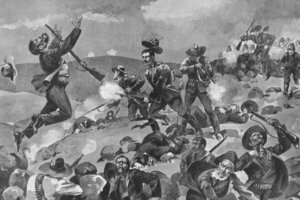 The Battle of Driefontein opened the approaches to the capital of the Orange Free State, Bloemfontein, which was captured on 13th March 1900.
danger and rushed forward calling on his men to fix bayonets and with 12 men, charged the advancing Boers. Two of the charging force was killed but the Boers retreated. Listed as one of the attacking forces was SA137 Private Joe Gestro. Captain Maddock was reported to have had his hat shot off by a bullet as is illustrated in Auckland Weekly News of the period. The ceremony to celebrate the annexation of the Transvaal was held on 25th October 1900, following which the majority of the 1st Contingent left Petoria for Cape Town and the return to New Zealand. In Palmerston North Joe continued in the volunteer forces becoming a member of the Palmerston North Rifles, the Palmerston North branch of the South African Veterans’ Association and the Palmerston North Fire Brigade. In 1907 he married Violet Stewart Wrighton and they had two sons. The marriage did not last and in 1914 the couple parted with Violet and the boys going to Australia and Joe selling up and moving from Palmerston North to Nelson.